The Kush Candle by Boy Smells, with its non-binary branding, is an example of how cannabis products have entered a new era. Gone are the green leafs, enter a pink candle with a perfume wisp of delicate floral. And as the cannabis flowers and brushed suede warm up, the amber accord grounds this dank and intoxicating scent. 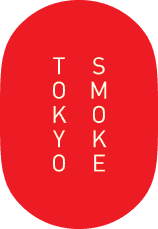 Canadian Brand Tokyo Smoke targets the sophisticated smoker, those who embrace high design and alternative states of mind. The brand identity with its minimal white lettering on a lantern shaped red oval, states its Asian influence in name and form. The brands first location Tokyo Smoke Found was listed as one of the Top 4 designed coffee shops in the world by Interior Design Magazine and their Toronto location is often referred to as Muji, but for marijuana. Recently acquired by Tokjo Smoke, another Canadian Cannabis brand, Van der Pop curates and creates cannabis experiences for the modern woman. With discretion, education and style, Van der Pop proposes a thoughtful and candid exploration of the plant and its diverse set of benefits. 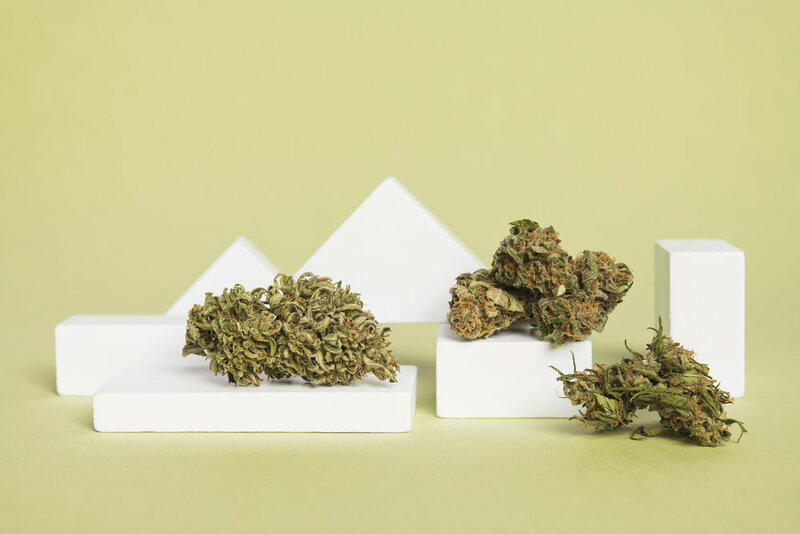 “It’s time to put the image of the under-achieving stoner to rest and have a frank conversation about where cannabis fits in the modern woman’s life,” said April Pride, Founder of Van der Pop. Goldleaf is another example of a new aesthetic for the cannabis industry. The company does not sell or distribute any cannabis derived products but creates thoughtful printed supplies for the cannabis community. Motivated by the idea of empowering medical patients & enthusiasts with functional & educational materials, Goldleaf focuses on clean design & science-forward content to create approachable, informative and highly unique items. Broccoli is a Portland based free publication for cannabis lovers. Created by women who love weed, the magazine aims to present a new perspective on cannabis culture. The publication presents as playful, informed, eclectic, and thoughtful and encourages the discovery and intelligent appreciation of cannabis through explorations of art, culture, and fashion. 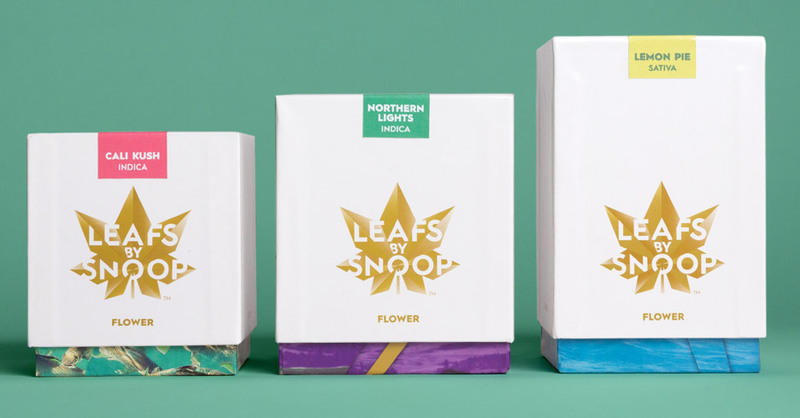 Back in 2015 Snoopp Dogg launched his edible marijuana range Leafs by Snoop. 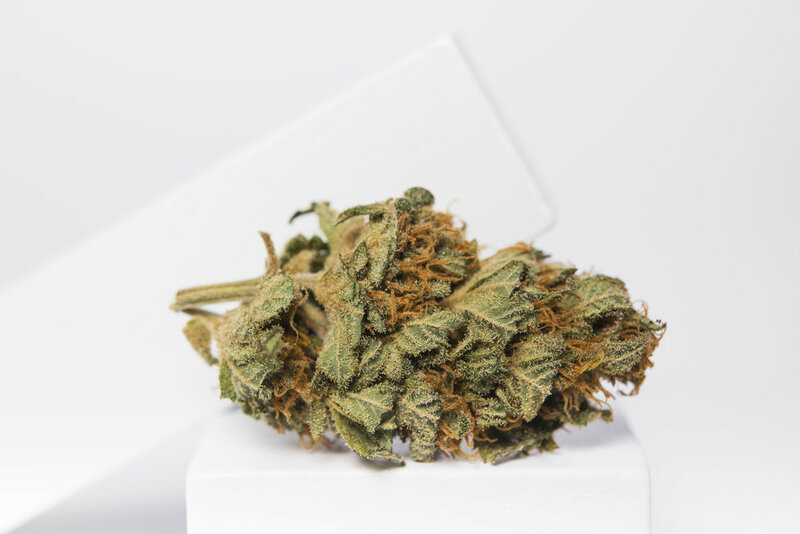 The packaging, still slightly more traditional compared to the beforementioned brands, features a stylised cannabis leaf logo composed of "jewel-like facets", which opens and closes like a fan when animated. The name of the brand appears as if cut out of the cannabis leaf and the different flavours of the range – Blueberry Dream, Bananas, Northern Lights, Lemon Pie, Tangerine Man, 3D CBD, Grape Soda and Cali Kush – are distinguished by coloured stickers. Very playful, and yet slightly more conventional. Meanwhile and this side of the pont, Italy has seen a cannabis light mania, since a December 2016 law regulating hemp production went into effect introducing a series of norms meant to help revive a crop that was once widely cultivated in the country. For our own brand collaboration and photographic project for Italian CBD startup Monophases, we opted for a stylish setting with the Cannabis light buds presented as precious still life objects. Our photographs thereby adding a luxury dimension to cannabis photography. Forbes Magazine declared 2019 the year of cannabis we look forward to more collaborations and to see where Cannabis brands go next.